Do you want to buy water rowing machine?? Read the WaterRower reviews first to know the best features of it. The particular types of rowing machines are the best attractive and very smart rowing machine in the market. It is also known as best performing rowers even according to the consumer’s reviews and rating. It is manufactured with natural solid ash wood and honey oak constructions materials. 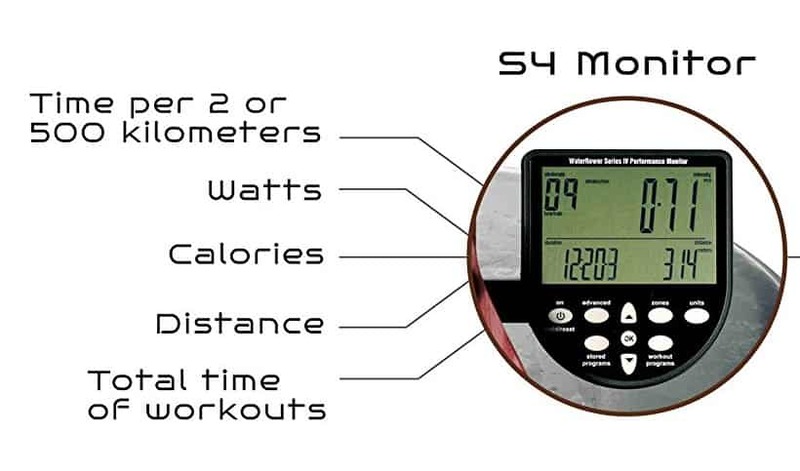 They have a particular S4 monitor that you can get lots of advanced data during a workout. The WaterRower provides you with a great feeling workout that you will get motivation in your workout journey. The most of the WaterRower has a durable body frame and allows consumers heavy body weight up to 450kg (practically not found 450kg body weight consumers). The water rowing machines are adjustable in any home environment and have the great features the people like this very well. The great is that, easy to assemble, easy to use and can be stored machine’s frame flips upright after using in small place. Easy to move when not in use. According to the consumer’s reviews, the water rower club is the best one. By the name, we can understand that the water rowers give the resistance using water. A water flywheel or a suspended paddle exists in a tank of water that causes resistance. The faster you row, the faster the paddles spin, the more water they must displace, and the harder the resistance becomes. We call this ‘variable’ resistance because there are no “adjustments” to be made. For more resistance, row faster and to feel less resistance, row slower. There are a lot of benefits to water resistance, especially the WaterRower Club resistance system. When a user starts to pull the handle, then the rowing paddles began to spin into the water tank. Spinning paddle displaced the water and caused resistance. 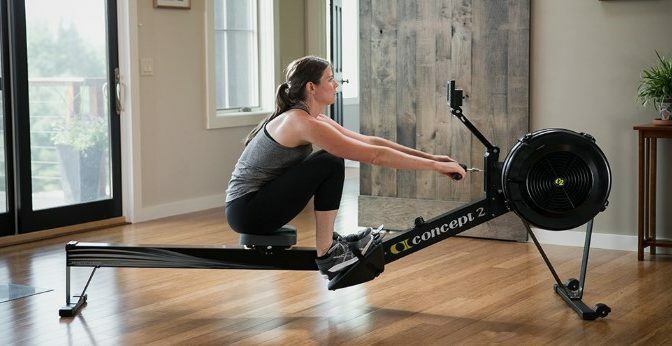 If you want to get, more resistance starts faster rowing that the paddles rotate more and provide the hard resistance when you row slower than the resistance also be less. The resistance is adjusted according to the user’s speed. You can change the resistance type increasing and decreasing the water into the water tank. When you add more water, then feel more resistance and feel lower resistance when less water in it. Many people experienced a nasty noise during rowing which is disturbing for neighbors because they do not want to hear the boring sound of rowing. But I do not get any bad and hard sound when rowing with WaterRower. It is finely designed for consumers that do not gain negative reviews. It is durable, quiet, and smooth feel well when rowing. Duration, Distance, Stroke rate, Heart rate etc. Using QuickStart and QuickSelect options you can start your workout quickly. You can review your last nine workout data just scrolling AutoStore and AutoPreview options. Previous nine workout data are saved into the control panel, and you can recall and evaluate these data. You can trace your stroke rate, heart rate and your intensity using the zone bar. The features also tell after tracking you either you are inside the zone or outside the zones. Distance and duration features give your workout session full data. The distance you covered and the calories you burned. After full completion workout, the average statistical data will be displayed. You can store nine workout data using the interval data. You can save these data taking the interval and all data you can see anytime just using a scroll. You can get data about advanced heart rate analysis just viewing maximum rates, time spent below, above and in your heart rate zone. The WaterRower club is expertly designed with solid ash wood. This particular structure allows this rower to minimise the vibration and rowing bad sound. The color consistency is long lasting because each unit of the wood is hand finished and stained smartly. No user did not make any complaints about its strong structure even casual use and in hard rowing. No crack or breakdown is found even after long time and multiple consumers using. The structure of this rowing machine is built such a way if you buy it long lasting for the lifetime for any users. I am the about 84kg body-weight guy and used this WaterRower club several times and feel very rock structure which is never break down. Easy to assemble and easy to move. It should not take 30min to for assemble. It does not come with water in its tank. It is really large to look at when it is in use, but you can easily make it upright when store. It is easy for me to make it upright with my only one hand. If I am not the most energetic person on the planet and no one have no pay any effort during its storage. 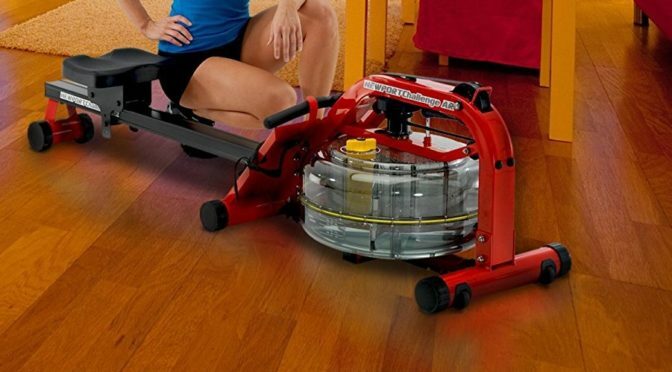 You can move it easily with its dual caster wheels when you needed. The WaterRower club has the most comfortable seat that is designed with extra padding. It provides very positively experienced while rowing. Many consumers report that the seat is most comfortable they used. The rowing handle is made of aluminum and very much reliable and lighter to use. Consumers do not experience any problem during the workout because the handle is easy to grip due to its tear-drop shapes. It also does not create any wrist problems by eliminating any wrist torque virtually. I did not get any problem during rowing on water rower club about the handle, and I did not get any negative reviews with the handle. The footboard provides you with extra security during a workout with its nylon straps. The straps securely placed your feet on exact place strongly. It is flexible to different shoe size (big or small). 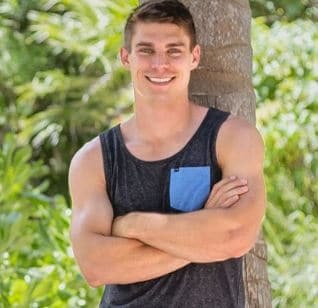 You can change the shoe size just in a second. It seems at different users the WaterRower club is low to the ground and this issue is simple. It can be minimised just having a chair, and if you feel difficulty with the seat, it can be customizable. The consumer’s water rowers reviews as excellent features are that it provides most comfortable strokes on the market during a workout session. 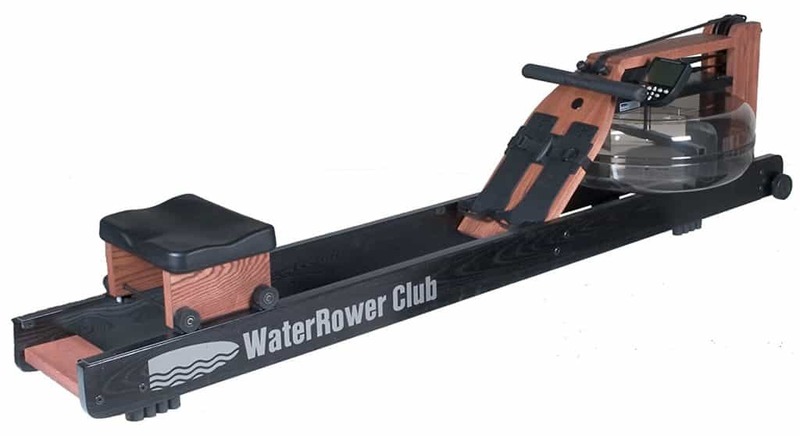 The WaterRower club provides you with a broad and satisfactory warranty that you can buy it without any confusion. There is no doubt that it has a long time useful features. The manufacturer provides three years of frame warranty and one year of parts warranty without registration. If you fill ups the registration form, the warranties will be extended up to five years(frame warranty) and three years (parts warranty). It is highly recommended that to fill ups the registration form. Waterrowers always advertise that the water rowers club one of the best quietness rower in the market. But some users report it has some sound of water. Like all rowing machine, it also has sound, but it only generates the water sound. It is pretty much well because you will be motivated in your workout journey with this great water sound. The most positive point is that it does not provide any harsh sound like other rowing machines. 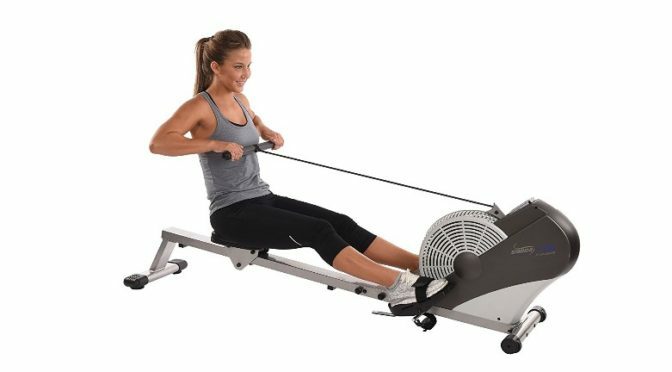 Compared to the other rowing machines the WaterRower club has a higher price, but the price is easily justified through its quality and long-lasting support. This is built with handcraft wooden body looks very nice just like a home decor piece. It provides a smooth and robust rowing resistance. I think you already decide it after completion full WaterRower reviews.You are getting excellent workout equipment for your indoor workout at around $1160. There is no doubt that you are buying the best rowing machine which lasts a very long time. Considering all features, it is described as a piece of art. This is very comfortable and very easy to use. Finally, it is highly recommended to buy.